Researchers from the University of Toronto, the International Computer Science Institute, the University of California Berkeley and Princeton University, have confirmed what we've all suspected: China is hijacking web traffic entering the Middle Kingdom to overpower sites critical of the authoritarian state. It would seem to be a clear case of China engineering a way to knock arbitrary websites off the internet for everyone. Such an attack was launched last month at California-based GitHub.com, which was hosting two projects that circumvented the Great Firewall's censorship mechanisms, and GreatFire.org, a website dedicated to fighting China's web blocking. GitHub mitigated the assault to mostly stay online. 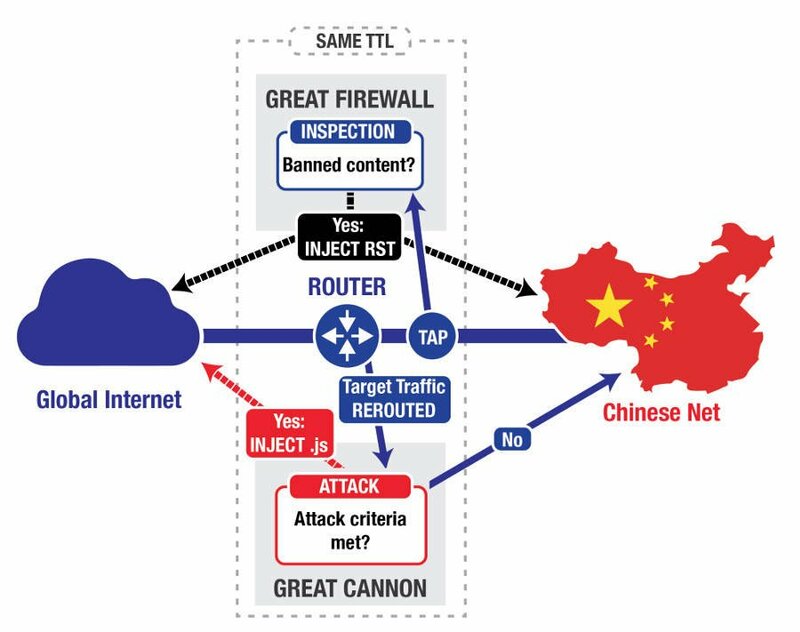 This weaponized firewall has been dubbed the Great Cannon by the researchers, and typically hijacks requests to Baidu's ad network in China. Anyone visiting a website that serves ads from Baidu, for example, could end up unwittingly silencing a foreign site disliked by the Chinese authorities.